A first-of-its-kind custom-blend hydrator that hydrates and treats your main skin concern, your way. Combines a hydration base of Dramatically Different™ Hydrating Jelly with Active Cartridge Concentrate for Fatigue. 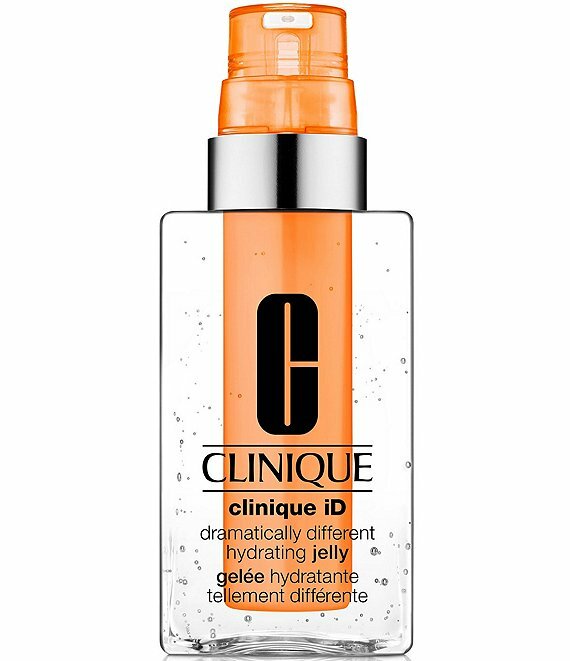 Dramatically Different™ Hydrating Jelly delivers 24-hour hydration repair plus pollution protection. Clean Shield Technology™ locks in the goodlike moistureand filters out the bad. Strengthens skin's moisture barrier and improves resiliency. Unique water-jelly texture feels fresh, penetrates quickly. Concentrated actives in the cartridge energize and boost glow, helping to revive tired, dull-looking skin. Taurine energizes and revives glow. Custom-Blend Chemistry Technology™ isolates the concentrated actives in the cartridge from the basedelivers optimized results with every pump by freshly combining the precise dose of concentrated actives and base for the ultimate customized experience.